For more than a year, Mike LaBorde thought he had carpal tunnel syndrome. His left hand and arm often tingled and felt numb. He wore a brace for a while, but it didn’t help. Then he had carpal tunnel surgery, not once, but twice. The surgeries made no difference. When the symptoms didn’t fade, Mike’s primary care doctor suspected a herniated disc, so Mike had an MRI. What that test revealed changed everything. A mass was growing inside Mike’s spinal cord. It looked like it could be cancer. His doctor recommended Mike travel from his hometown of Crosby, Minnesota, to Mayo Clinic for care. When Mike arrived in Rochester, Minnesota, in August 2015, he feared the worst. His local care team told him the tumor in his spine likely was a persistent form of cancer that would be difficult to get rid of completely. He was prepared for chemotherapy and radiation therapy after surgery to remove as much of the tumor as possible. In addition, he had been told that he likely would need spinal fusion as part of the surgery. During Mike’s first appointment at Mayo Clinic’s Rochester campus, he met with Mohamad Bydon, M.D., a neurosurgeon who specializes in complex spine surgery and cancer of the spine. Dr. Bydon explained to Mike that, due to the location of the tumor in the cervical portion of his spine, there was considerable risk for paralysis or significant weakness in his legs following surgery. Dr. Bydon also discussed with Mike that while spinal fusion may be necessary, it was also possible to avoid fusion by doing a laminoplasty — a surgical technique that allows the bones to heal in place. Finally, Dr. Bydon confirmed that removing the entire tumor may not be feasible. Dr. Bydon was looking for a different outcome. Surgery was scheduled for the following week. Mike went home for a few days and then returned to Rochester for more appointments. The day before surgery, he didn’t have anything scheduled, so Mike and his girlfriend decided to make a day of it at the Minnesota State Fair. The next day, Mike rose early and arrived at Mayo Clinic Hospital — Rochester at 5:30 a.m. By 6 a.m., the team was getting him ready for the long procedure ahead. Mike recalls being quite nervous. One staff member in particular holds a distinct place in his memory for the comfort she provided that morning. He only wishes she knew how much that meant to him. After surgery, Mike began to wake up as the anesthesia wore off, and he wasn’t sure if he could believe the news he heard. During the procedure, Dr. Bydon and his team were able to remove the entire mass from inside Mike’s spinal cord. An analysis of the tissue showed it was not cancerous. Instead, it was a rare intramedullary noncancerous tumor called a hemangioblastoma. Also, Dr. Bydon and his team were able to avoid spinal fusion for Mike by doing a laminoplasty. Because the tumor was completely removed, Mike didn’t need chemotherapy or any other additional treatment. Mike went back home to Crosby two days after his surgery. Since then, he has returned to Mayo Clinic for several follow-up appointments with Dr. Bydon. Imaging tests have shown no regrowth of the tumor. The tingling and numbness in Mike’s arm have faded away. Recovery did take some time, though. At first, Mike’s activity was limited to slow walks. Over time, Mike was able to take up his hobbies again. 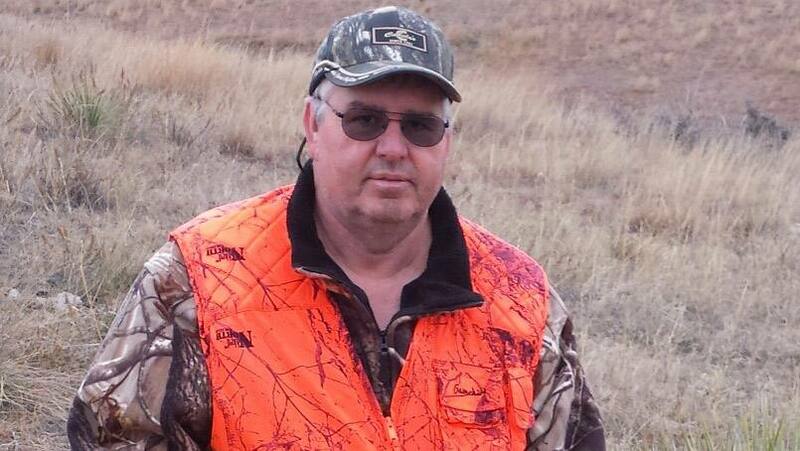 Just two months after the surgery, he was pleased to make his annual deer hunt in the north woods. Throughout his medical evaluation and treatment, Mike continued in his job as a training director. Although at times he had to slow down, he says keeping up with work helped motivate him to keep going. Today, he’s back to work full-time. From his vantage point of a life restored to normal, Mike reflects on his experience and his care at Mayo Clinic, and his chief emotion is one of gratitude. That made a frightening and stressful time a little easier to handle. Learn more about Mayo Clinic’s Department of Neurosurgery.